By Xah Lee. Date: 2012-09-02 . Last updated: 2017-02-04 . 【Alt+Tab】 Switch to next window. With Shift for previous. 【Super+Tab】 next window of current app. You can change the keys in Settings control panel. 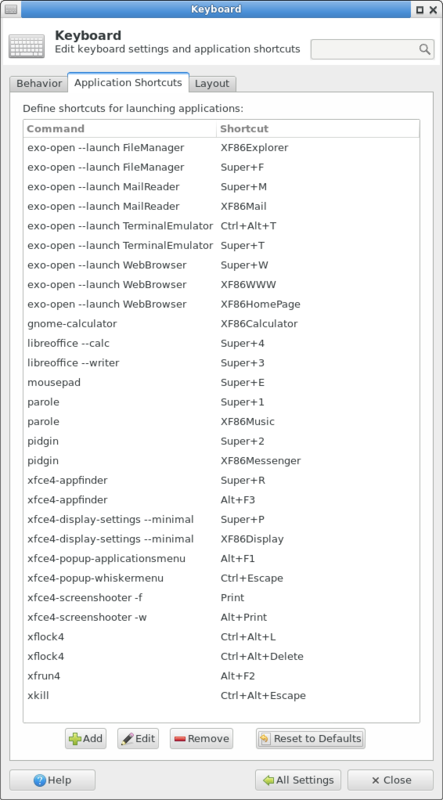 Launch it by xfce4-settings-manager. Window Manager panel → keys related to general manipulation of windows and virtual screen. Keyboard panel → keys related to launching app, etc. xfce window manager keys panel 2017-02-04. 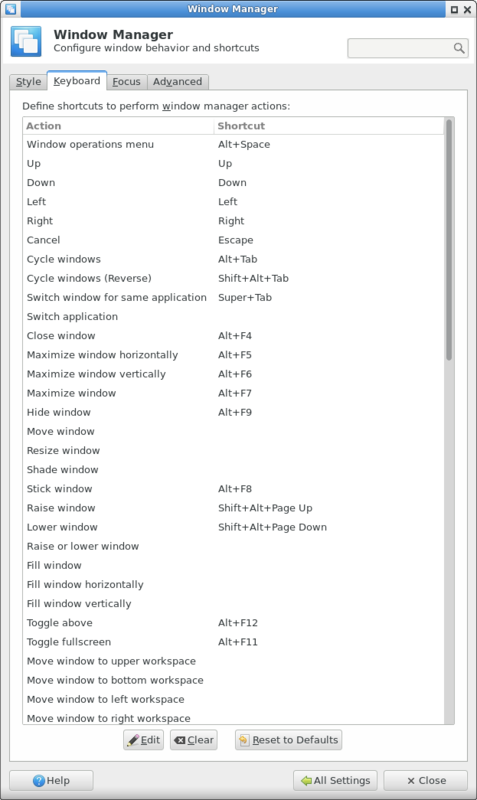 Hover your mouse over the taskbar, then scroll mouse wheel to cycle windows. Hover your mouse over empty space on desktop, then scroll mouse wheel to cycle workspaces. You can set mouse so that hover will activate the window (put focus on it and bring it to front). Set in the Window Manager preference pane. For how to switch to a app, see: How to Set Key to Switch to Browser.